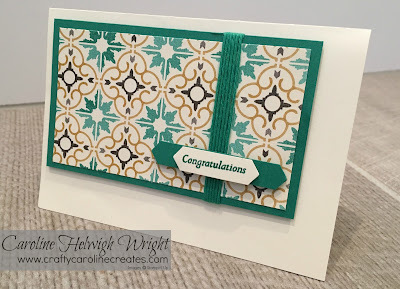 CraftyCarolineCreates: Elegant Narrow Gift box using Moroccan DSP from Stampin' Up. Elegant Narrow Gift box using Moroccan DSP from Stampin' Up. Thank you all for the lovely comments on yesterday's card - simple but effective. As promised, today I am sharing the matching gift bag that I sent out with the card. Small but very elegant, the gorgeous Moroccan DSP does all the work for you. 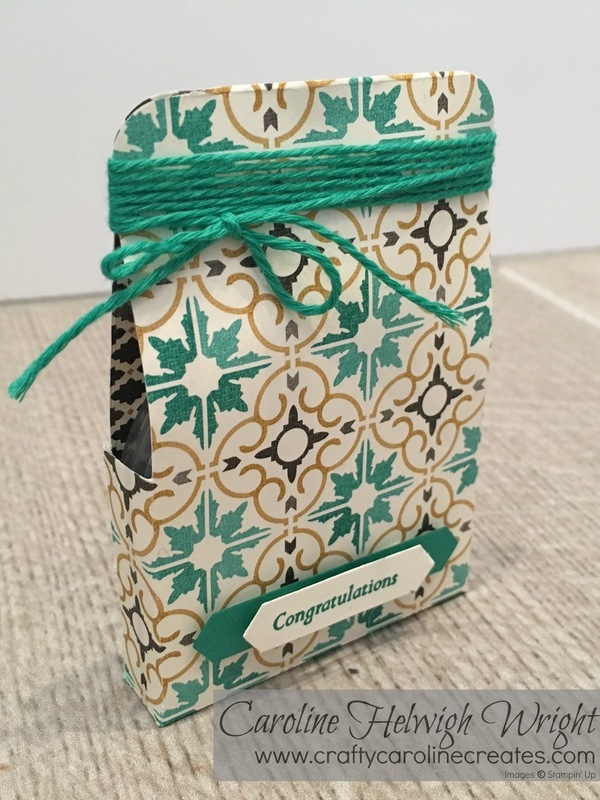 As I said yesterday, both the card and the gift box were made to send out to one of my lovely team members to celebrate her recent promotion. I love being part of the Stampin' Up family and I love it when members of my team are successful in their SU business too. I'd love to help you start your SU journey too. My team is a lovely combination of ladies who have signed up purely to take advantage of the minimum 20% net discount on all their personal orders and those that, like me, are growing a business to fit around their lifestyle. If you'd like to know more, click HERE or drop me a line, I'd love to chat more - with no obligation of course. If you would like to see just how I made the box click HERE to watch my video on how it is made. Half score on the long side at 2 and 6 inches then flip and repeat - watch the video to better understand this!